One of my favorite holidays is St. Patrick’s Day. I think it’s because I love Ireland and I love the color green. It’s also a great holiday in the middle of a span with not much going on, especially when Easter falls in April, like it will for the next few years. 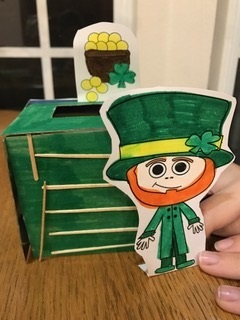 I’d like to show you my new St. Patrick’s Day STEM unit. There are four activities: 2 activities for St. Patrick’s Day, 1 for National Quilting Day and 1 for Johnny Appleseed Day. Here’s one activity that is sure to amuse your students. They must build a trap for a Leprechaun. You know how sneaky those Leprechauns can be, so they need to think about how to lure them and trick them. Have you ever heard of National Quilting Day? 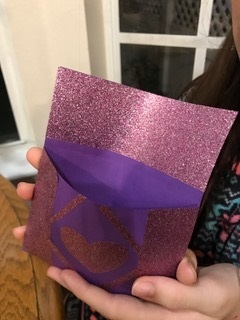 It falls in March (the third Saturday to be exact) and it’s a great time to use a little duct tape to create their own quilted item. I think it’s a great time to explain what patchwork and quilting is since a lot of students aren’t exposed to these types of crafts. I hope you all are having a great school year. If you’d like more information on my March STEM unit, click here.